Rio Olympics: How Did Car Rental Fare? Rio de Janeiro is the host city of the 2016 Summer Olympics. Photo via Carlos Ortega/Flickr. In the month of August, people from around the world traveled to Brazil to cheer on their country’s Olympian athletes. ABLA, the Brazilian car rental association, expected about a 15% increase in daily car rentals for Rio de Janeiro, the host city of the Summer Olympics, according to Jorge Pontual, commercial director of ABLA. Neighboring states of Rio — such as Sao Paulo, Minas Gerais, and Espirito Santo — also likely had a higher demand for those who are driving back and forth to Rio for the Olympic Games. 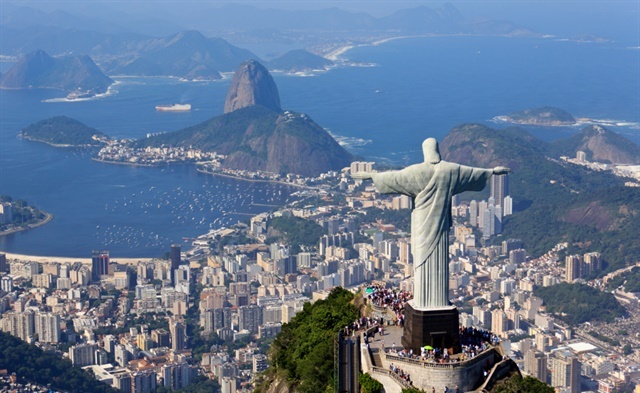 Herbert Viana, marketing director of Localiza Rent a Car, said that other cities could have experienced an increase in rentals if tourists decided to travel around Brazil after the Olympics finished. Cities such as Belo Horizonte, Salvador, Brasilia, Sao Paulo, and Manaus likely experienced a small increase in rentals since they hosted soccer games — all the other Olympic sporting events took place in Rio. Due to security reasons and to help with traffic and logistics, the most desired vehicle models were minivans and 12-passenger minibuses, according to Paulo Gaba, CEO of Brasilia Rent A Car. “Some rental car companies were a bit frustrated about this because most of these minibuses need a special license and availability is limited,” said Gaba. Other Brazilian cities — outside of Rio — likely experienced a decrease in demand due to a reduction in corporate events. In August, there is usually a demand for rental vehicles for business fairs, events, conventions, and large corporate meetings in several Brazilian cities, according to Pontual. Because of the Olympics, these work events did not occur or were postponed. For Pontual, he has noticed that major events tend to boost the rental car sector before its performance compared to the period of competition. ABLA expected that leasing for travelers would reach an average of 10% of the total leased vehicles during the Olympics. Most of the demand was likely to be Brazilians living abroad who were visiting. Instead of visiting at the end of the year, they might have traveled in August to take advantage of the Olympics, according to Pontual. Viana didn’t notice an increase in bookings at Localiza. But the company prepared its fleet and increased its inventory about 25% in order to get ready for any additional demand.